El Sauzal - tranquility...plus wine! The picturesque town of El Sauzal can be found on the north west coast, not far from Tenerife North airport. It is a distinctively tranquil place and the complete antithesis to the artificially manufactured tourist stops such as Playa de las Americas in the south. It is a primarily agricultural community, surrounded by vineyards. Other crops cultivated include potatoes, cereals, bananas, vegetables, citrus fruits and flowers. Any tourism is aimed mainly at families and couples and villa rental is big business. You'll get stunning views over the Atlantic plus breathtaking vistas of Mount Teide. As the town is a centre of wine production, it is an excellent destination for lovers of the grape. The town features fine restaurants serving the superb wine of the region along with delicious Canarian dishes. Some local vineyards provide wine tastings in their cellars and the wine museum of Casa del Vino la Baranda is well worth a visit. You can take a spot of lunch in its restaurant where you can enjoy the local wine and food on their veranda. In summer classical music concerts are held there. Casa del Miel (House of Honey) is also worth a visit. The town of El Sauzal itself is a most pleasant place to stroll around in the early evening, just before sunset, exploring its old, narrow streets. As is usually the case in these towns, there are a number of architecturally interesting churches and fine public squares. Or, you could seat yourself outside one of the bars and just indulge in people-watching. One evening, why not try a visit to the small fishing village of El Prix to sample superb fish dishes from the day's catch. Nearby beaches include Mesa del Mar, one of the best on the island, plus Playa de los Troches and Playa de San Roque. 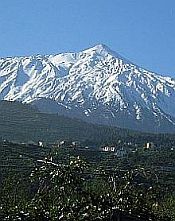 Not too far away are the towns of Puerto de la Cruz, La Laguna and La Orotava.